Display your favourite ornaments in style with these display boxes from Bloomingville. 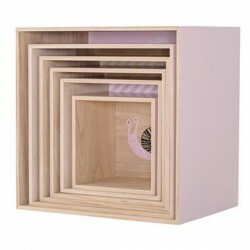 Made of natural wood with animal and stripes prints with light pink sides. 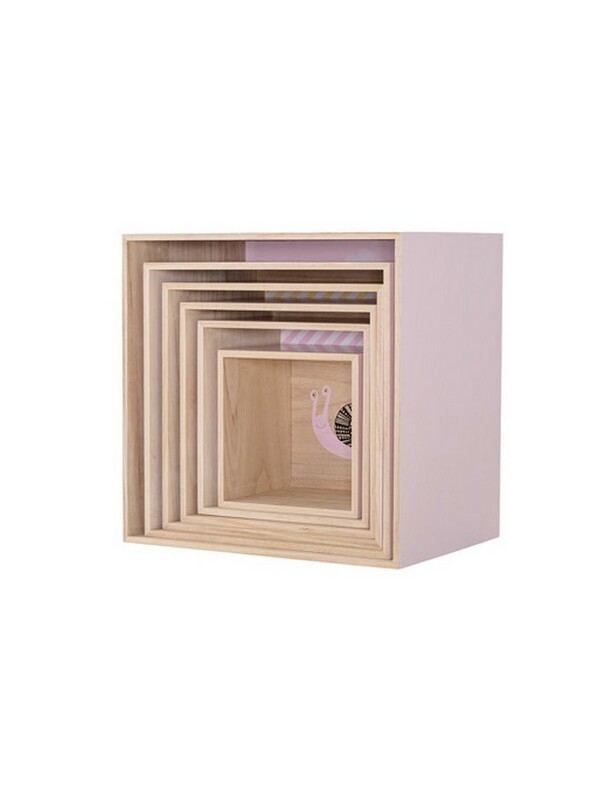 This lovely boxes will be great in any girl’s room. It can hold all manner of curiosities and and storing little treasures.